Other Recruiting reviews by real, verified users. Find unbiased ratings on user satisfaction, features, and price based on the most reviews available anywhere. Top candidates demand that employers provide multiple ways to connect besides the 'Apply Now'. Brazen's Conversational Recruiting Platform does just that by giving employers a variety of channels to engage with candidates including QuickChat, recruiting chatbots, scheduled chats, and online events resulting in 3x more qualified candidates. Brazen also gives employers the ability to find new candidates through programmatic advertising. Top brands use Brazen like KPMG, CVS Health and Starbucks. Screen your next candidate over text. Ebsta helps recruitment companies to maximise the value of Bullhorn. We build tools that help recruiters work at hyper-speed by putting Bullhorn wherever they work. In doing so our clients benefit from users updating and referencing Bullhorn thousands of times more every single day. FlashRecruit is a Recruitment Live Messaging Platform that takes the pain out the job search while creating a new channel of communication for recruiters. Promote your company culture to more than 200 million people visiting Indeed each month. Let them experience what it's like working at your company so you can attract and retain the right talent. Market leading business and recruiting intelligence tool providing access to over 1.19 billion emails and over 50 million phone numbers. IBM Watson Recruitment is an AI-powered solution that increases recruiter efficiency and enables HR to improve and accelerate people’s impact on the business. Using structured and unstructured data from applicants, it automatically analyzes and ranks the candidates that are the best match for the job – without bias. By analyzing historical data on each requisition’s complexity, skill requirements, and duration to fill certain jobs, it provides an assessment of which roles will be more difficult to fill and why. Priority requisitions are flagged based on drivers like job complexity, skillset required, and seniority. This helps recruiters allocate their time more efficiently and helps recruiting managers allocate open requisitions better across more- and less-experienced, or specialized, in-house and external recruiters. SkillSyncer is a platform for job seekers that intelligently scans a job description and identifies missing skills and keywords from your resume. Land your resume in the hands of a human and beat the robots. Daxtra Magnet is an internet browser add-on that references the online profile of an individual and matches it with existing database records. DaXtra Search is a resume matching software designed to offer advanced resume searching capability and deliver a dramatic reduction in time to shortlist the most suitable and available candidates. Hiring software for the Hospitality industry. Easier to use than Facebook, affordable and designed for multiple location hospitality businesses. Gone are the days of clunky and confusing corporate software, Hire Ready is next generation software built for the current generation of workers. IBM® Watson® Candidate Assistant is an AI and cognitive talent management solution that engages job seekers in personalized career discussions — beyond just qualifications — and recommends positions that fit them best. By building trust and engagement in the first interaction, costly hiring mistakes are avoided and employees become top contributors because they are invested in your organization. Watson Candidate Assistant: - Provides personal job recommendations to the candidate based on IBM’s unique job matching capability: Unlike a keyword search or chatbots with limited conversational ability, Watson Candidate Assistant asks the job seeker about themselves. Job seekers can upload a resume and Watson Candidate Assistant will sift through all job openings and deliver personal job recommendations based on the skills and background of the person. - Answers common questions the job seeker may have: A big part of the candidate experience is understanding whether the company is the right fit for the job seeker. Watson Candidate Assistant is pre-trained on over 60 common questions job seekers ask and is able to provide job seekers with a sense of company culture. - Provides insight to employers through visibility into job seeker questions: Clients are provided with the top questions being asked by job seekers. This provides a unique way for employers to see into the minds of their candidates. Understanding job seeker questions enable employers to adjust their recruitment strategies, responses, and policies to provide a better experience. - Presents rich content to the user: In addition to the conversational interface, Watson Candidate Assistant can present job seekers with rich content like video to increase engagement and get them excited about joining the company. Interviewer Assistant is an online interview scheduling solution. Matador Job Broad plugin for WordPress supercharges your WordPress-powered web site with the power of your Bullhorn data. From Bullhorn, to WordPress, and back. OpenElevator helps easily post jobs that communicate your values to inspire top talent. PowerToFly is a SaaS-based hiring platform that reduces the time to hire hard to reach talent pools of underrepresented female engineers and other critical positions at a centralized and lower cost. It includes optimized search and sourcing tools, targeted job promotions, and high visibility employer branding services to reach seasoned back-end, front-end, full stack, mobile, user experience and data analysts, as well as women in marketing, editorial, sales and operations. Furthermore, for companies offering work from home positions, PowerToFly provides a remote job board that is accessed by women in tech candidates. Turbocharge your employee referrals. Now. Effortlessly. Sovren is a software-components-only firm that specialises in developing configurable, scalable and accurate recruitment intelligence software. Everything your teams needs to create and amplify branded video content, in one app. VideoMyJob is an enterprise video solution (native app) that enables teams to collaborate on the creation, sharing and tracking of branded employee-generated video content, to better engage with jobseekers and employees. Designed to assist recruiters by improving Candidate Processing and Scheduling. Boost.rs is a talent management software that helps a company make the most of the talent and is powered by AI and big data. EyeDetect is used to screen job applicants, employees, parolees, and immigrants, as well as law enforcement and public safety personnel to protect against corruption and crime. cube19 is a performance management platform to drive the behaviours that drive the revenue. It's here to place the best candidates, in the best seats at the best price. Cynaptx is a SaaS based Career Services Management(CSM) platform which makes the lives of Career Services staff, recruiters and students easier. It is a workflow driven application with builtin reporting engine that streamlines the interaction between Career Service, Students and Recruiters. With Cynaptx, it is easy to manage, develop, and monitor all career services activities. Career Centers gain the insight and flexibility needed to nurture ongoing success utilizing a single system to manage student and employer relationships. Cynaptx helps Career Services to increase engagement and facilitate better student and employment outcomes.Cynaptx is a preferred CSM solution for institutions of all shapes and sizes. From small colleges with a single career services staff to national universities with 100,000+ students and alumni and multiple branch locations trusts Cynaptx for their Career Services needs. Market Leading. Highly Accurate. Multilingual. Used by leading recruitment companies and vendors across the globe, our multilingual resume parsing software saves you time and money. With support for any CV and vacancy styles and layouts, including social media profiles; plus coverage for multiple regions (including all European, most Eastern European and many Asian languages and dialects), DaXtra provides the most comprehensive and accurate resume parsing solutions available. Consistently benchmarked as the highest overall CV parsing accuracy across multiple languages. Rich structured data output, to support powerful recruitment workflow applications. Strategically enhance data searching, analytics and reporting. Available for resume, candidate and vacancy information extraction. Flexible and extendable – bespoke schemas, unique skills taxonomies. DaXtra Parser provides the speed and precision — needed to stay ahead of the competition! AI-Powered Consumer Intelligence for Marketers, Analysts and Product Owners. Follow @DeeperSenseAI for Smart AI Recruitment Assistance. Drafted is the best recruiting software for high growth companies. It brings together all parts of the recruiting process from sourcing, referrals, outreach, and engagement into one streamlined platform for your entire talent organization. Unleash the power of your big data with FORMUL8 data analytics and visualization tools. Easy-to-use dashboards fed from multiple data sources including integrating directly with your CRM, accountancy, payroll, telephony and advertising systems. With a comprehensive dashboard that you can access anytime, anywhere and daily reports and updates, you can keep a close eye on not only your agency but your recruiter’s efficiency and profitability. Good&Co’s culture insights enable companies to make smarter hiring decisions, improve employee engagement, and reduce turnover. GoodTime is an Interview Logistics Platform that uses AI and automation to make interviews effective. We provide efficient scheduling, improve the interview experience for candidates and hiring managers, and provide actionable metrics to help companies hire the right candidates. Founded in 1980, BlackDog Recruiting Software Inc. has come to be known as one of the most powerful names in recruitment software. GTI Recruiting offers marketing, candidate management and assesments solutions. HireAbility is a world-wide provider of cloud-based CV, Resume and Job parsing technologies. HireAbility is used by job boards, social networks, applicant tracking systems, vendor management systems, human resource systems, colleges, staffing companies and recruiters. HireCredit helps employers optimize and automate the administration of hiring-based tax credit programs. HONEiT is a digital phone interview platform. InHerSight helps women find workplaces where they can succeed using anonymous company ratings specifically for women. 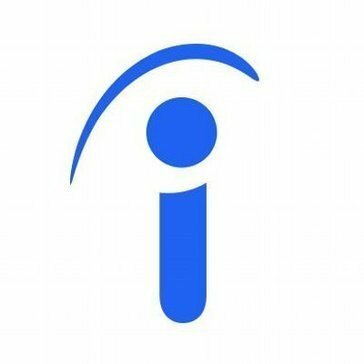 Instahyre lets candidate showcase themselves to a curated list of companies and gives employers exclusive access to the talent marketplace. InterviewJet is a members only hiring platform. Interview Schedule is a scheduling software for recruiting teams. Interview Zen is an online technical interview and recruitment software solution. Hi there! Can I help you find the best Other Recruiting solutions?